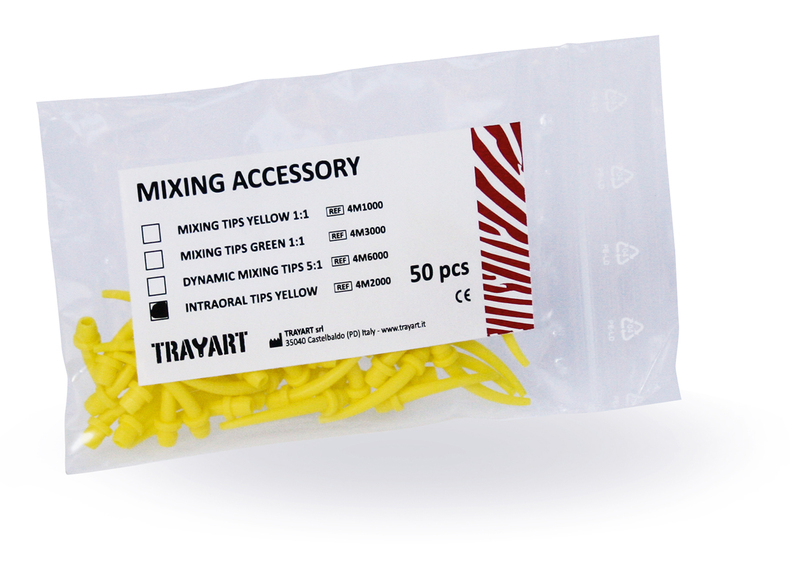 The content of the www.trayart.it website is reserved for health professionals and contains information on products that can create dangerous situations for the health and safety of the patient if not correctly read, understood and applied by a professional. In compliance with the provisions of current legislation, I therefore declare under mine responsibility of being a dental professional and dental technician and to be authorized to view the content on this website. 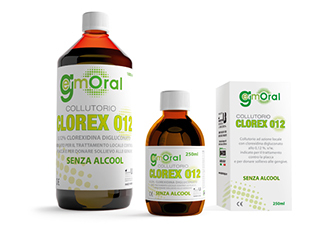 Aqueous solution containing benzalkonium chloride (quaternary ammonium salt) indicated for the disinfection of surgical medical devices. Disinfectant liquid ready to use solution to be diluted to tuberculocidal activity, bactericidal, virucidal and fungicidal for disinfecting surgical instruments at high risk contamination. 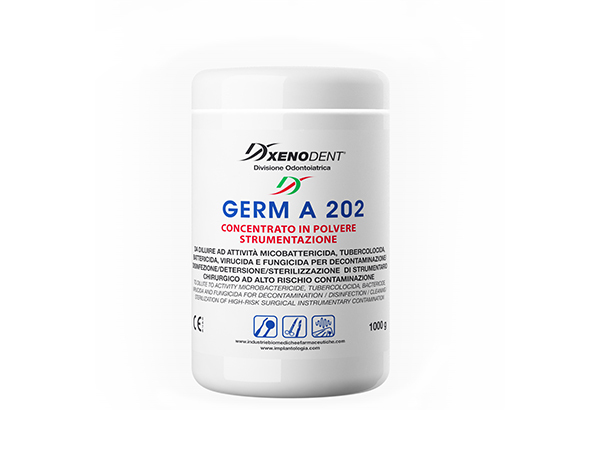 Ready solution for simultaneous disinfection and cleaning of surgical instruments non-critical, semi-critical and rotating. Enzymatic concentrate powder for instrumentation. 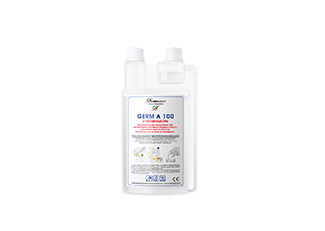 Disinfect and decontaminate medical surgical instruments and invasive medical devices and non-invasive. 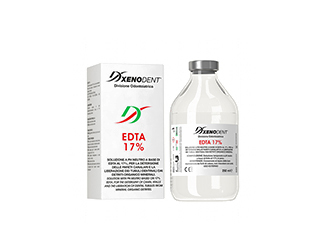 Enzymatic concentrate powder for surgical instrumentation. Liquid disinfectant used in medical, paramedical and dental, for disinfection and cleaning of medical surfaces. 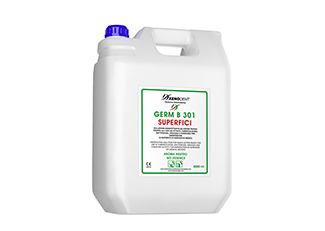 Concentrated aqueous solution containing benzalkonium chloride (quaternary ammonium salt), suitable for cleansing and disinfection of large surfaces, floors. Clear solution with a neutral pH. 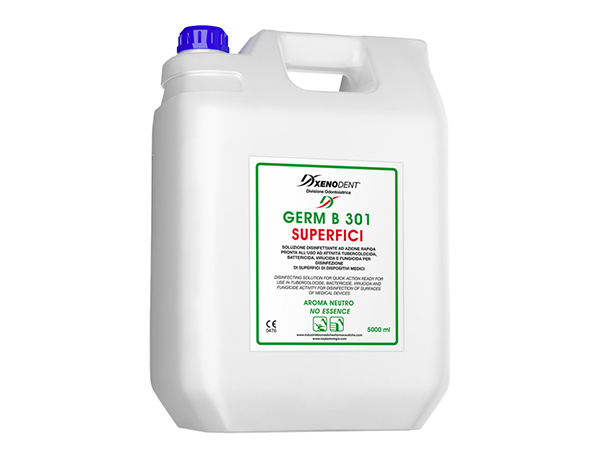 Such pH value enhances the bactericidal properties of the active ingredient, which decreased significantly at acid pH. Concentrate for the simultaneous cleaning and disinfection, deodorization and custody of the dental suction systems, spittoon bowls and amalgam separators. Solution disinfectant ready to be not thin, with assets tuberculocidal, bactericide, virucidal and fungicide for imprints. Concentrated scale remover and detergent for cleaning impression trays and more. 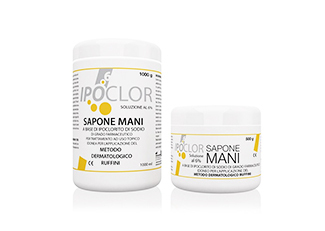 Soap hands sanitizing and detergent based on sodium hypochlorite 6% for dermal treatment for topical use. 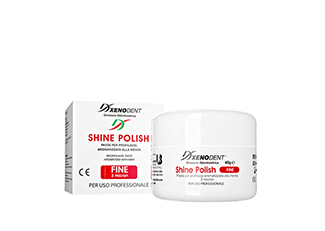 Gel indicated for cleaning and deep hand hygiene: gives freshness, respecting the physiological pH of the skin, leaving a pleasant scent on the skin. 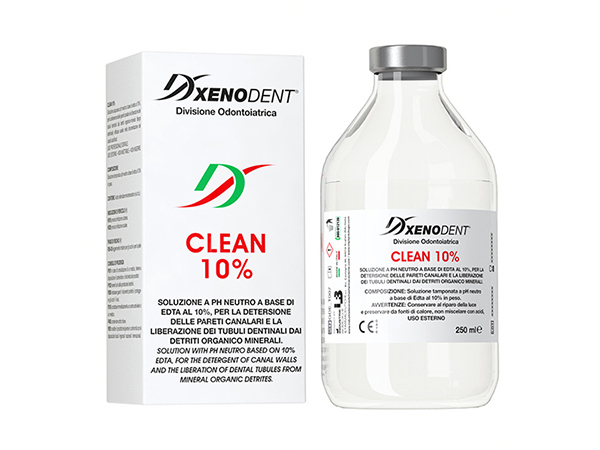 Solution at neutral pH based edta to 10%, for cleansing the canal walls and the release of the dentinal tubules by mineral organic debris (smear layer). 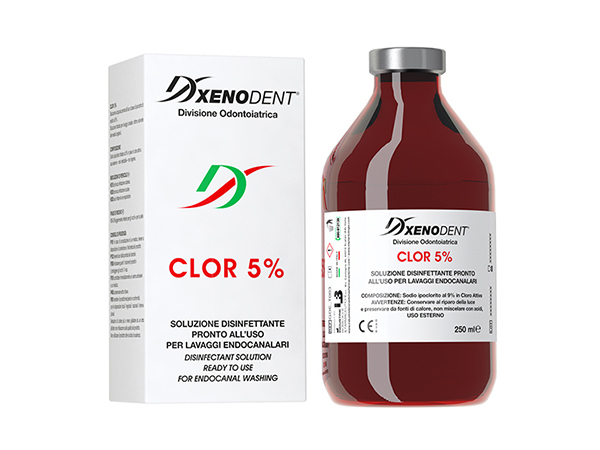 Solution for washing the root canals containing sodium hypochlorite titrated at 5% active chlorine. 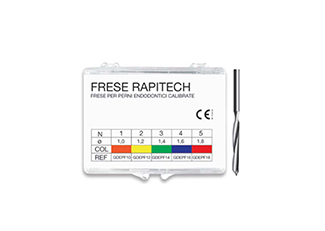 Specific nail to soften and facilitate the removal of cements in root canal retreatment cases. 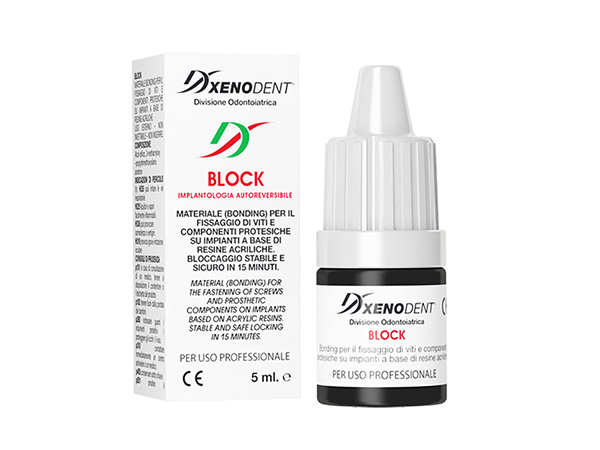 Specific solvent to soften the cements based on phenolic resins and to remove the gutta-percha and adhesives when performing endodontic treatments. Solution-based metacresilacetato rectified root canal treatments for the treatment of necrotic root canals and periapical infections. 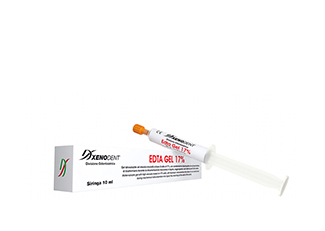 Water-soluble high-viscosity gel-based edta to 17%. Neutral based EDTA to ph 17% aqueous solution for cleansing of the canal walls and the release of dentinal tubules by organic-mineral debris (smear). Aqueous solution of chlorhexidine digluconate and cetrimide for cleansing and removal of organic and inorganic debris (smearlayer) and chemical treatment of the areas not instrumental. Solution based on hydrogen peroxide at 4% v/w (12 volumes) for the washing and cleansing of root canals during boring. 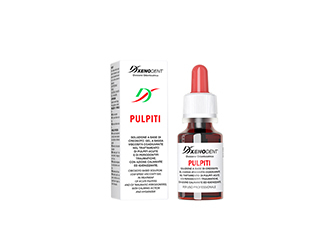 Low viscosity gel adjuvant in the treatment of acute traumatic pulpits and periodontitis, with soothing and sanitizing action. 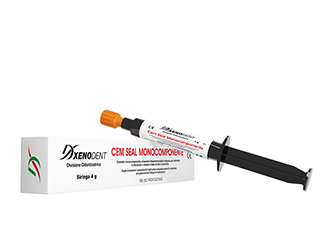 Cement radiopaque non-absorbable, biocompatibilea neutral ph, with high mechanical properties, suitable for endodontic surgery. 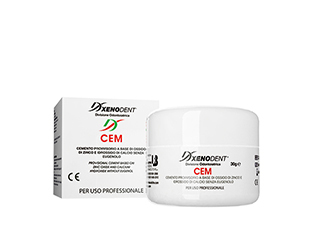 Cement definitive root canal without formaldehyde, and non-absorbable radiopaque for definitive fillings of root canals. Eugenol bidistillato pure, specifically intended for the root canal fillings. Cement-based calcium hydroxide and iodoform, radiopaque cavity substrates. Cement-based calcium hydroxide, radiopaque cavity substrates. 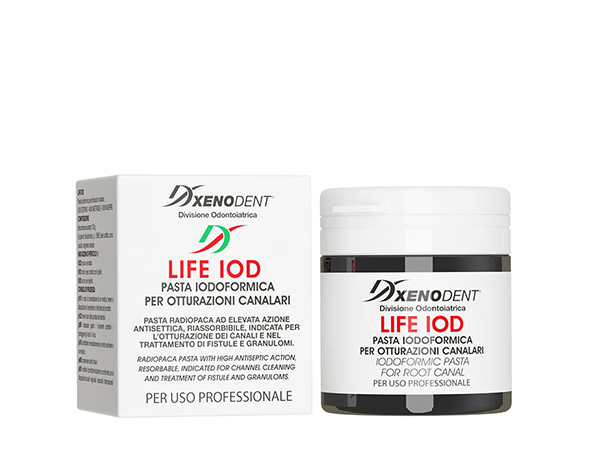 Cement-based iodoform and paraclorofenolo, radiopaque cavity substrates. Radiopaque iodoformica pasta high antiseptic action, resorbable. 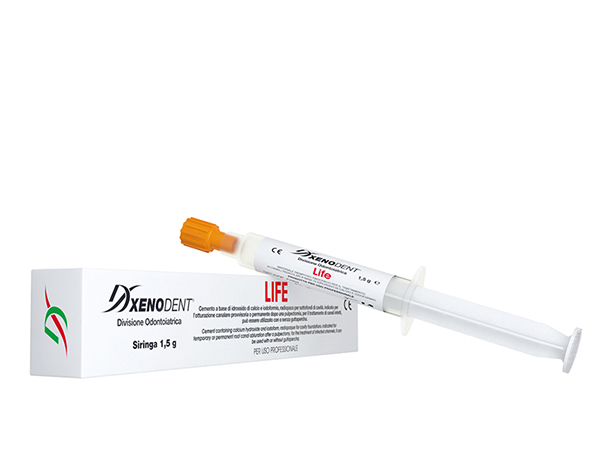 Desensitizing gel to use after whitening treatments, or for the treatment of cervical exposed areas, fillings and ceramic reconstructions with infiltration, gingival retractions of crowns and bridges. 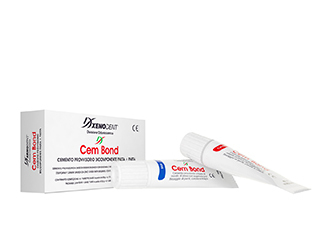 Desensitizing gel based on potassium nitrate for the treatment of cervical areas exposed and vital stumps. 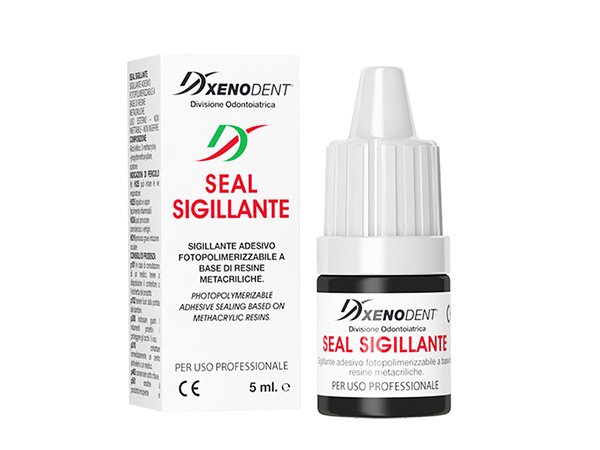 Dam photopolymerizable, sealant, consisting of methacrylates with mechanical properties suitable for the protection of the gums and easily removable from the slots and undercuts. 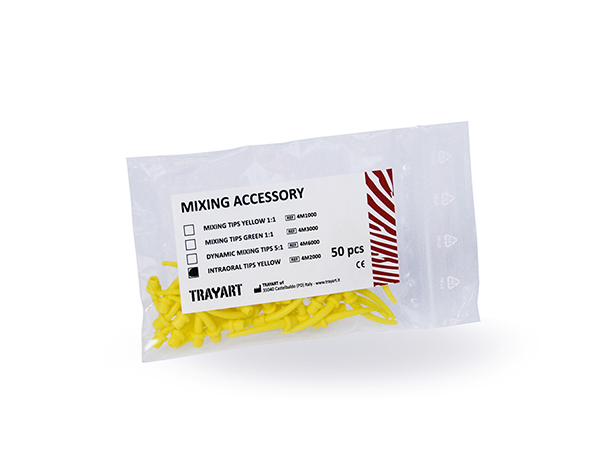 Pasta extremely active for the removal of tartar and ideal as a first step of polishing after scaling. Pasta for prophylaxis, flavored with mint in two different particle sizes (thin: 3 micronm and medium: 5 micronm). 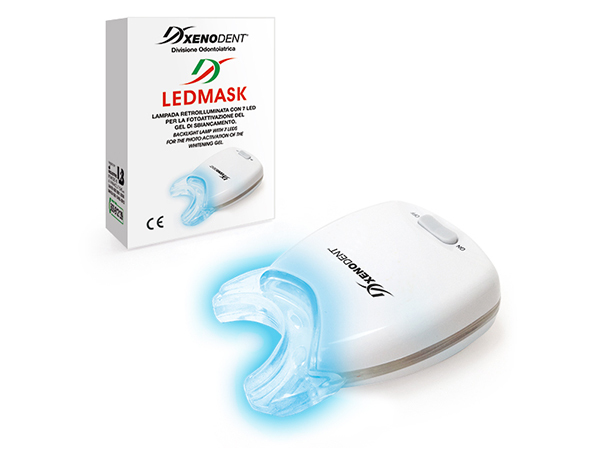 Backlit LED lamp with 7 for the photoactivation of the whitening gel. 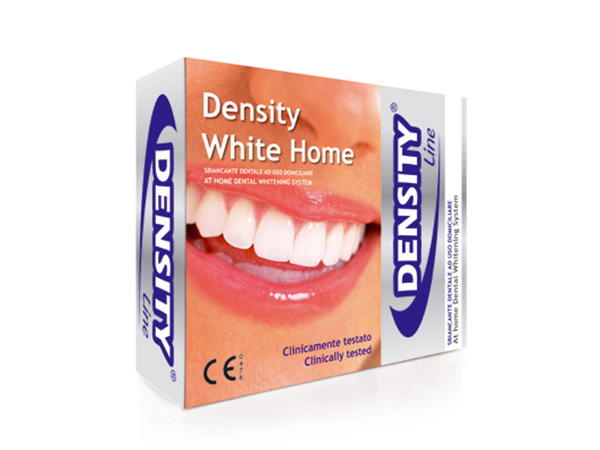 Dental whitening for home use indicated for the treatment of darkened or discolored teeth. 2,3ml flacon and 1,5ml gel syringe, single use kit. Home use. Two-component system liquid-gel with 37% of hydrogen peroxide at neutral pH for bleaching of teeth is vital both non-viable, with photochemical activation by lamp-laser. 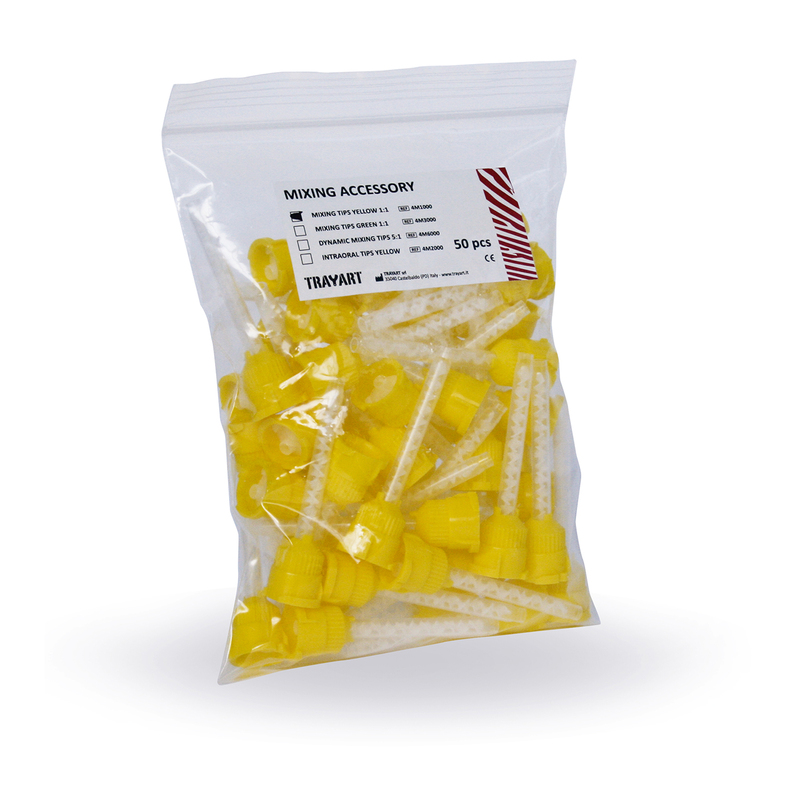 2,3ml flacon and 1,5ml gel syringe, single use kit. 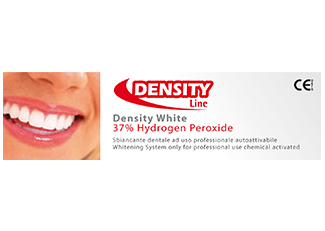 Two-component system liquid-gel with 37% of hydrogen peroxide at neutral pH for bleaching of teeth is vital both non-viable. Professional use. 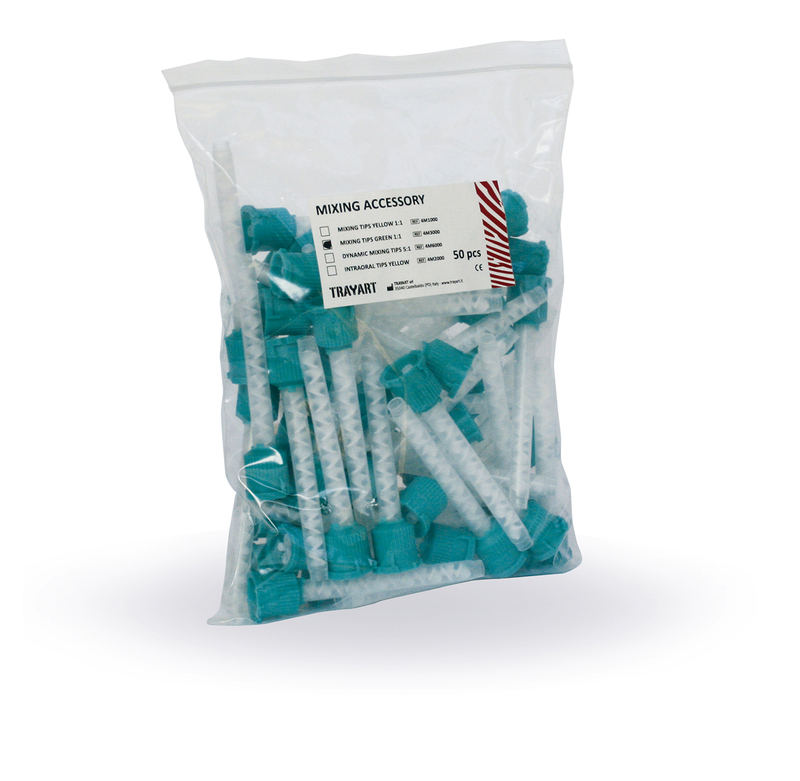 2,3ml flacon and 1,5ml gel syringe, single use kit. Professional use. Dual-curing adhesive suitable for direct bonding of crowns, bridges, inlays, onlays composite, ceramic and alloy. 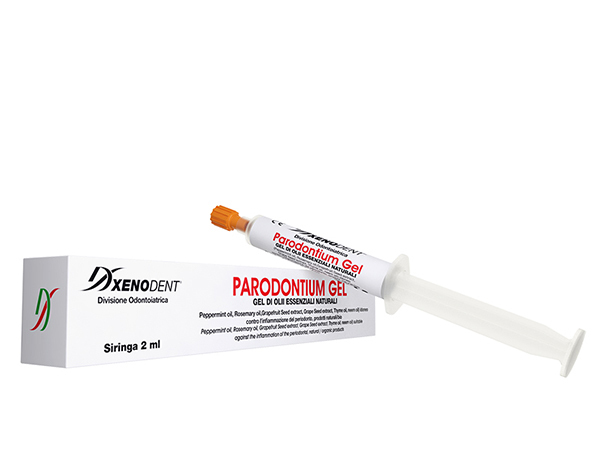 Fifth-generation light-curing adhesive, monocomponent with acetone carrier, for enamel and dentin. 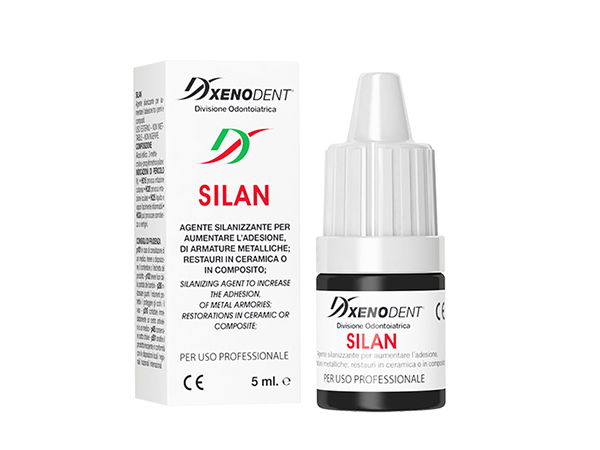 Adhesive based on silanes functionalized with organic groups for the adhesion between the composite and/or cements and pins in glass or carbon fiber, photoactivatable. Sealant light-curing adhesive based on methacrylic resins, with the characteristics of a very thin film. 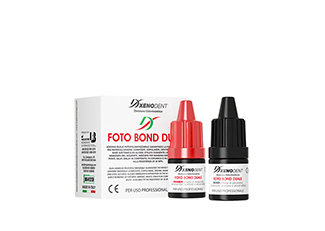 The product is indicated to increase by 20-30% the adhesion between the metal pins and the composite cement used for fixing the reconstruction. 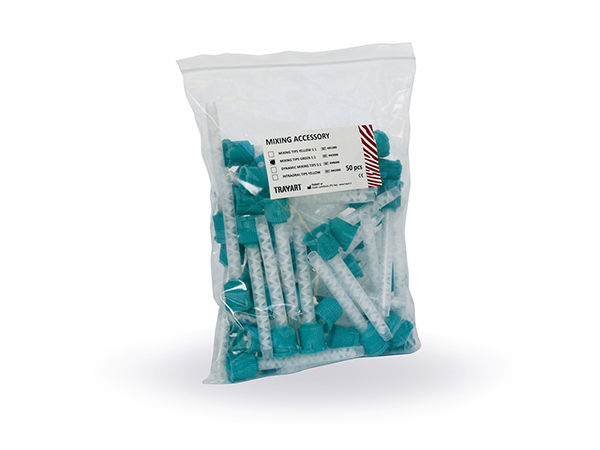 Material (bonding) for fixing screws and prosthetic components based on acrylic resins systems, developed to prevent relative micromotion in the implant system - screw - stump. 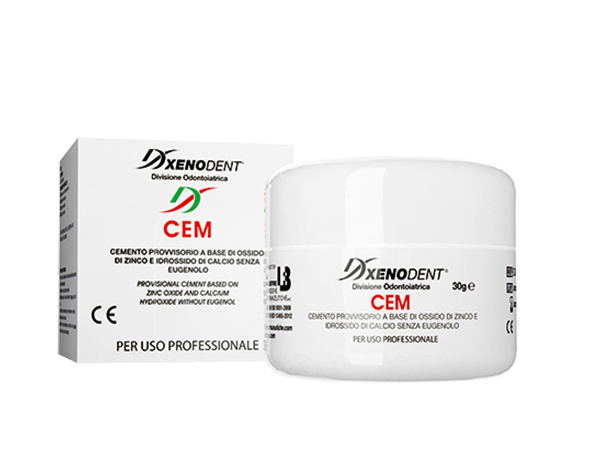 Temporary cement based of zinc oxide and calcium hydroxide without eugenol; white and radiopaque. 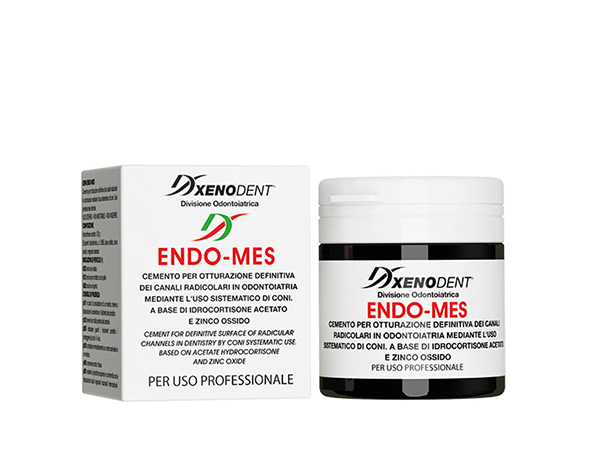 Temporary cement based of zinc oxide with eugenol for fixing of crowns, bridges and inlays. 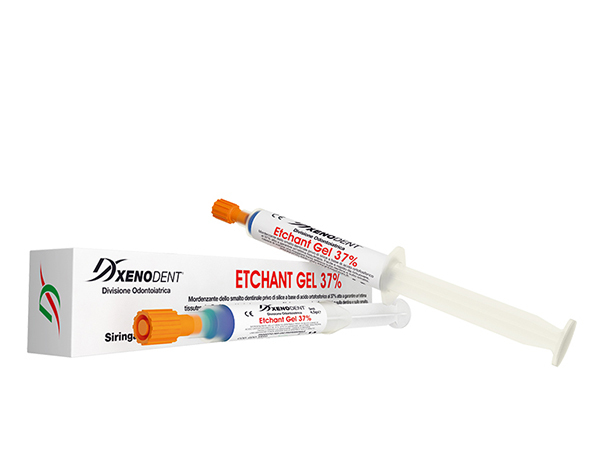 Etchant enamel dentin devoid of orthophosphoric acid based on silica with 37% act to ensure an excellent tissutropia. 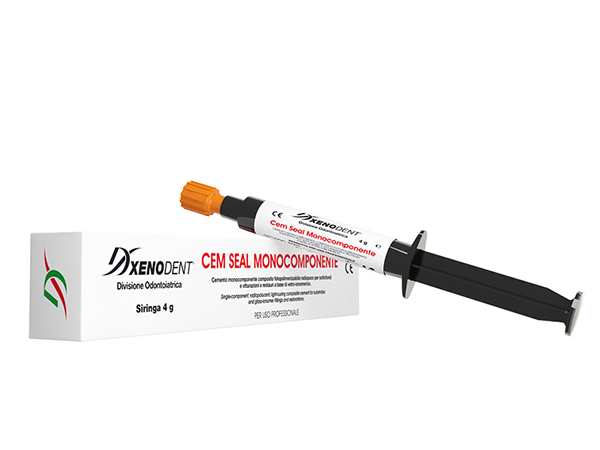 Single-component, radiopolymer, light-curing composite cement for substrates and fillings and glass-ionomer-based restorations. 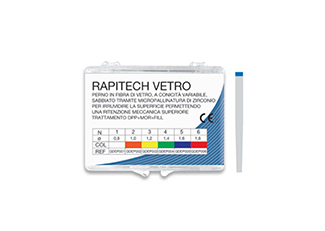 Cement photopolymerizable, radiopaque, based on calcium hydroxide, hydroxyapatite, barium sulfate and acrylic resins. 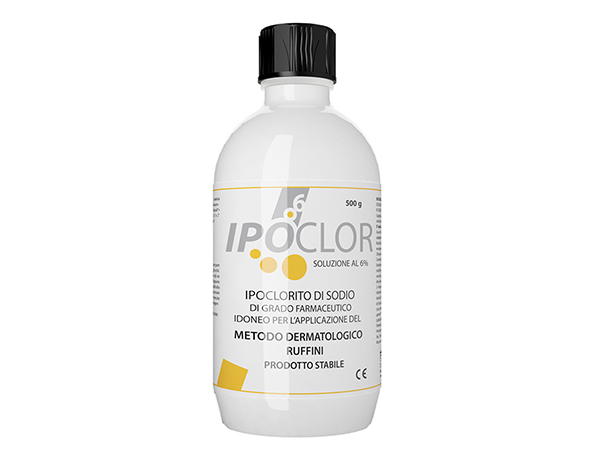 Ideal to be used under composites, pulp capping without bleeding; as a matting agent for crowns repairs, in which remains of the discovered metal. Insulating resinous solution for the substrate, which allows the passage of air or natural gas, for protections on intermediate dressings, when it needs a natural drainage. Cutters pins root canal rapitech. 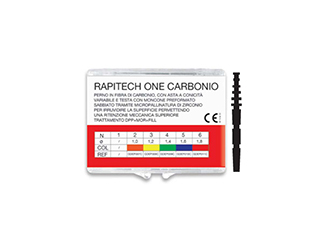 RAPITECH pins, made of carbon fiber, use a mechanical retention greater than 100%, a high tensile strength, torsion and compression (breaking load), equal to 310/400 n / cm2 (force-newton). 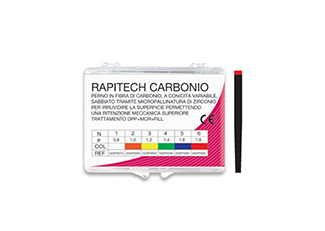 RAPITECH pins, made of glass and carbon fiber with variable taper and surface increase adhesion (sanding), allow retention more than 100% mechanical, a high tensile strength, torsion and compression (breaking load), equal to 310/400 n / cm2 (force-newton). RAPITECH pins, made of glass and carbon fiber, use mechanical retention greater than 100% high tensile strength, torsion and compression (breaking load), equal to 310/400 n / cm2 (force-newton). RAPITECH pins, made of glass and carbon fiber with variable taper with increased adhesion surface (sandblasting), allow a mechanical retention greater than 100%, a high tensile strength, torsion and compression (breaking load), equal to 310/400 n / cm2 (force-newton). Local action mouthwash with 0.12% chlorhexidine digluconate indicated for local treatment against plaque and to give relief to the gums. Local action mouthwash with 0.20% chlorhexidine digluconate indicated primarily for treatment after oral surgery. Synthetic bone paste based on Beta Tricalcium Phosphate enriched with Polylactic Acid for alveolar, cystic, apicectomy and small periodontal and implantological reconstructions. 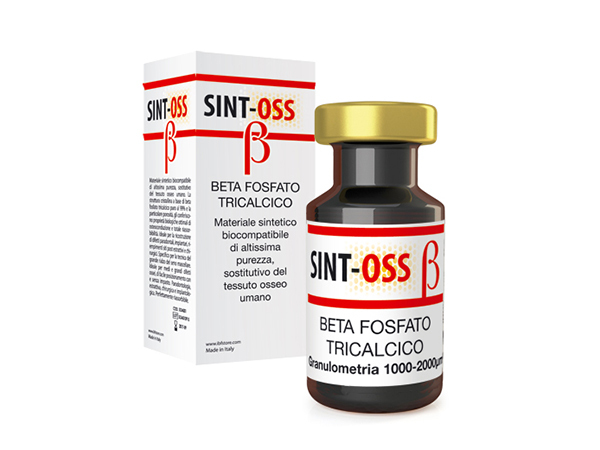 Biocompatible synthetic material of high purity, replacement of the human bone tissue. 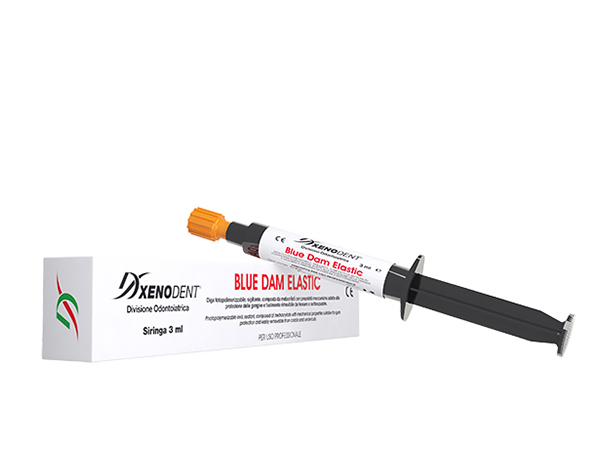 Bone filler based on copolymer of polylactic and polyglycolic acids (PLA / PGA) and hydroxylapatite (HA) as space maintainer. Biocompatible synthetic material based on pure 99% pure tricalcium beta phosphate, replacing human bone tissue. 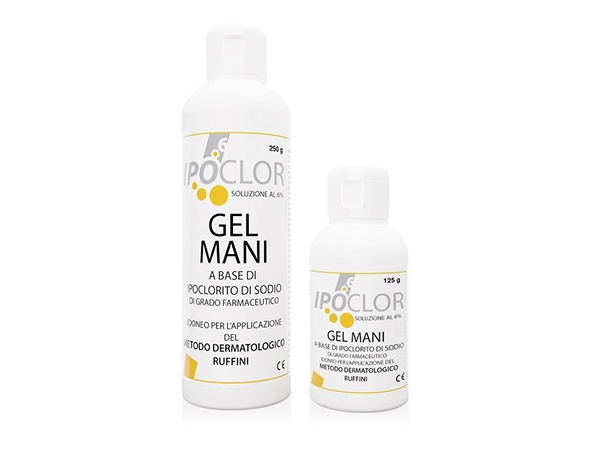 Gel based on purely natural ingredients, antibacterial and anti-inflammatory. Gel based on chlorhexidine and triclosan is an antibacterial and anti-inflammatory gel. 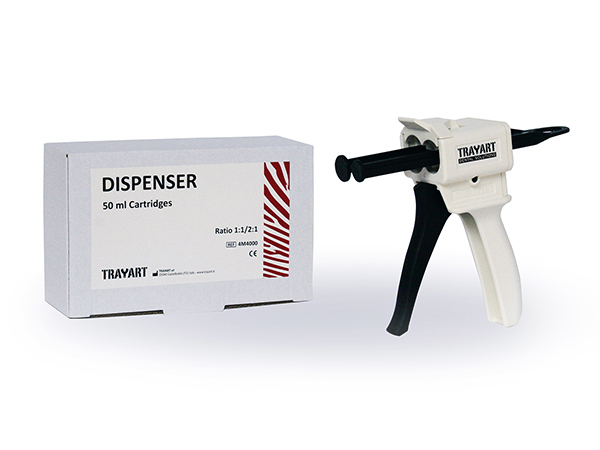 Universal manual dispenser for 50ml 1:1 cartridges. Universal static mixers for 50ml 1:1 cartridges. 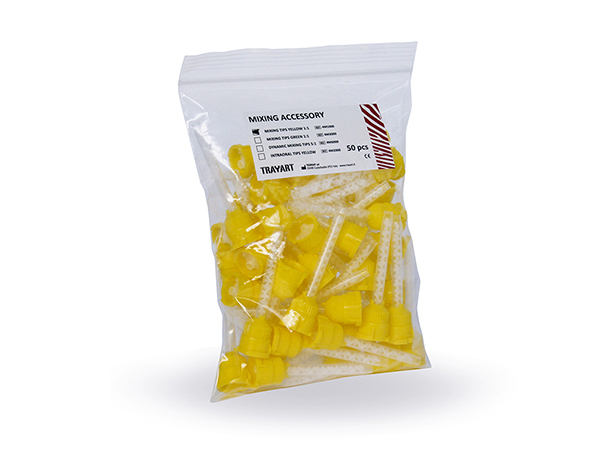 Universal intraoral nozzles to be applied on the yellow tips. Dynamic mixers for 5:1 automatic mixing systems. 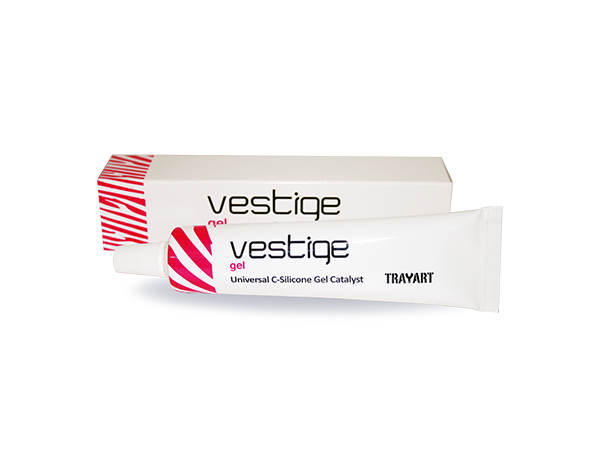 Gel catalyst for Vestige C-lab putty 85 packaged in the practical tube with ophthalmic type terminal for precise dosing without waste. 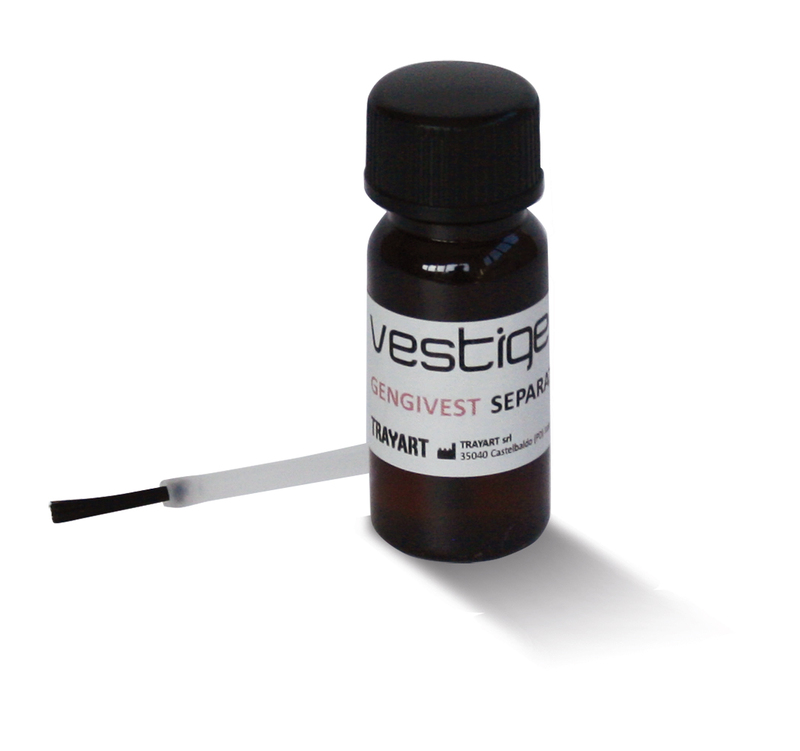 Liquid separator to isolate Vestige gengivest. 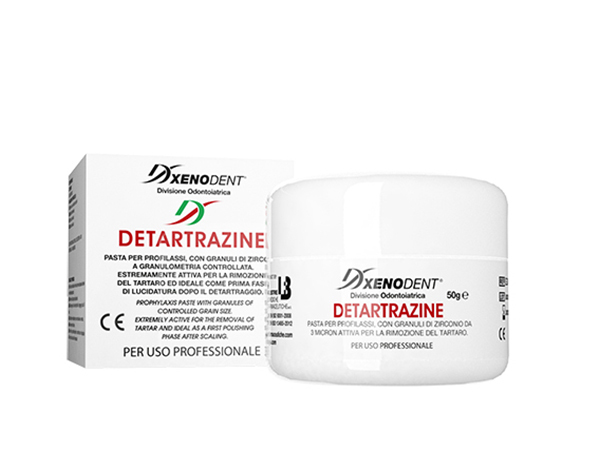 Dust free alginate, it has a high dimensional stability and a fast setting time (Fast Setting). Fragrance "all fruits". Colour: pink. 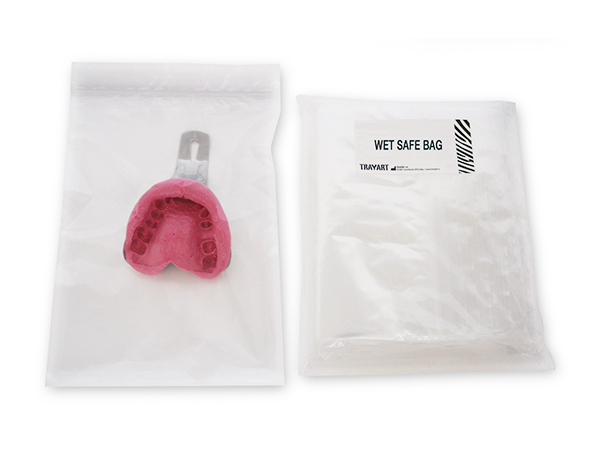 Transparent resealable bag for the correct storage of alginate impressions. 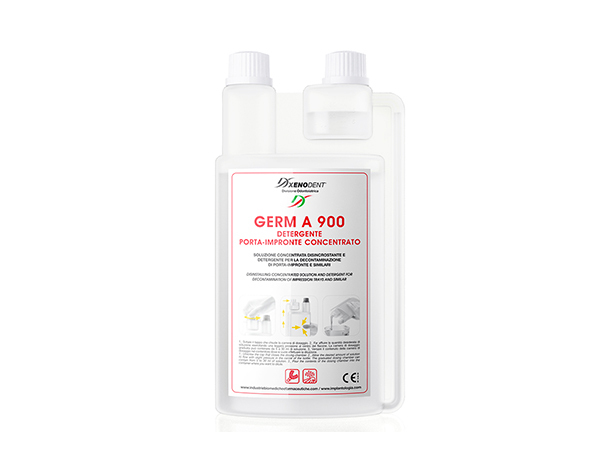 Specific product for cleaning, high-level disinfection, before the subsequent autoclave sterilization of surgical instruments and invasive medical devices. Disinfectant in liquid solution ready to use to be diluted with tuberculocidal, bactericidal, virucidal and fungicidal activity for disinfection of surgical instruments with high risk of contamination. Specific product for cleansing, high level disinfection, before the subsequent autoclave sterilization of surgical instruments and invasive medical devices. 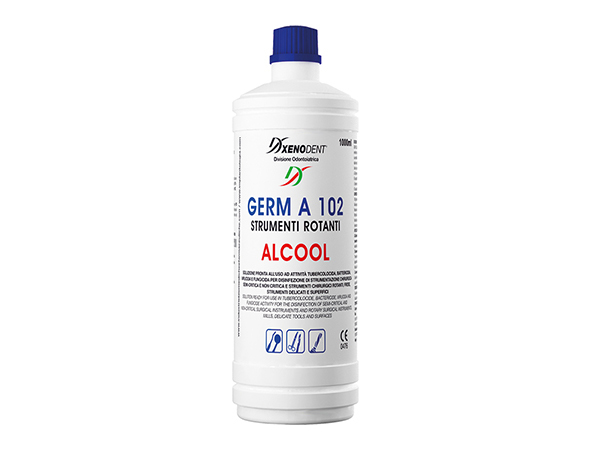 GERM 102 ALCOOLICO is a ready solution for the simultaneous disinfection and cleaning of non-critical, semi-critical and rotating surgical instruments (drills and stainless steel and drills, diamonds, instruments for canal, etc.). It is characterized by its compatibility with materials (it contains special corrosion inhibitors) and its cleaning and effectiveness is quick and complete. Sterilizer - deter-disinfectant - high level, enzyme concentrate in powder to be diluted with mycobactericidal activity, tuberculocide, bactericidal, virucidal and fungicide for decontamination, disinfection, cleaning, sterilization of surgical instruments with high risk of contamination. It is an indispensable product for the overall procedure of disinfection and decontamination of medical-surgical instruments and invasive and non-invasive medical devices. 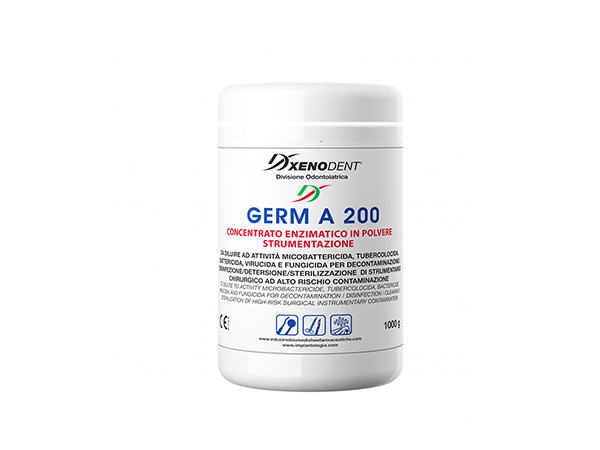 Thanks to this peculiar characteristic Germ A Enzymatic liquid allows the detachment and removal of organic residues that often act as a barrier for the underlying germs, even in the most critical areas and difficult to access tools and surfaces. 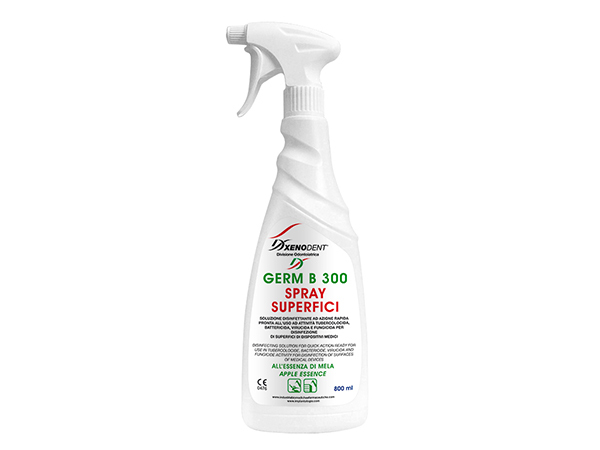 Subsequent disinfection or sterilization methods will be more effective in this way. 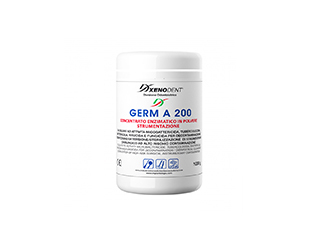 Sterilizer - disinfectant - high level, concentrated in powder to be diluted with mycobactericidal, tuberculocidal, bactericidal, virucidal and fungicidal activities for disinfection, cleaning, sterilization of surgical instruments with high risk of contamination. GERM B SPRAY is a ready-to-use solution that does not need any dilution. 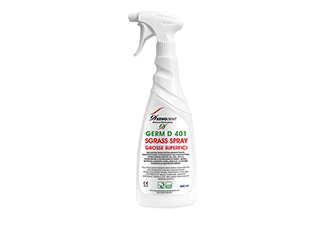 Disinfect, degrease and cleanse, does not stain and does not leave marks. It dries quickly. It smells pleasantly the environments. It is used to eliminate all forms of dirt. It does not require rinsing. 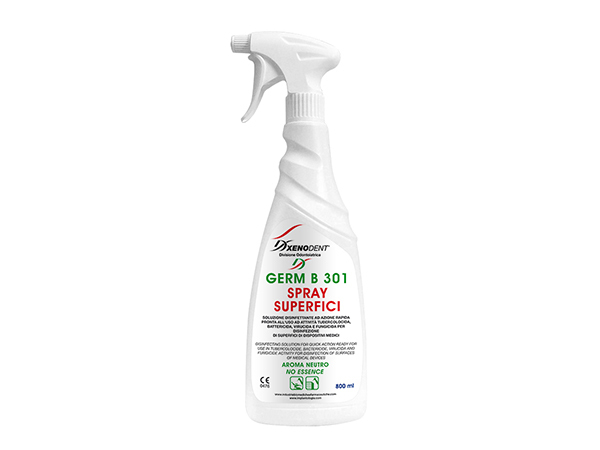 Both the raw materials that come into the formulation of GERM B SPRAY and the solution as such, are subject to rigorous quality controls; accurate analyzes performed on the product ensure its stability over time. GERM B is a ready-to-use solution that does not need any dilution. 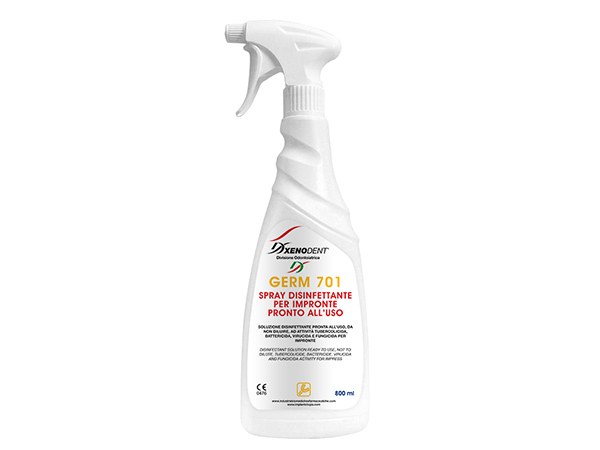 Disinfect, degrease and cleanse, does not stain and does not leave marks. It dries quickly. It smells pleasantly the environments. It is used to eliminate all forms of dirt. It does not require rinsing. Both raw materials that come into the formulation of GERM B that the solution as such, are subject to rigorous quality controls; accurate analyzes performed on the product they ensure its stability over time. 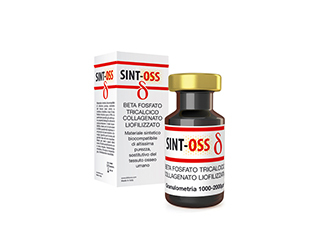 Disinfectant, high-level detergent for surfaces of medical devices and aspiration, bactericidal, fungicidal, virucidal (hiv-hbv-hcv) for medical-surgical and dental use. Based on dimethyl-dioctil ammonium-chloride, benzyl-dimethyl-dodecyl-ammonium chloride. 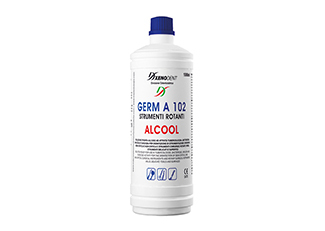 Disinfectant solution ready to use, not to be diluted, with tuberculosis, bactericidal, virucidal and fungicidal activity for impressions. 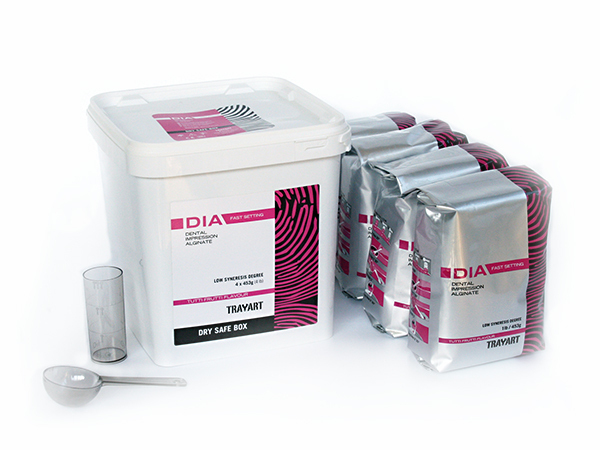 Concentrated descaling solution and detergent for cleaning fingerprints and more. 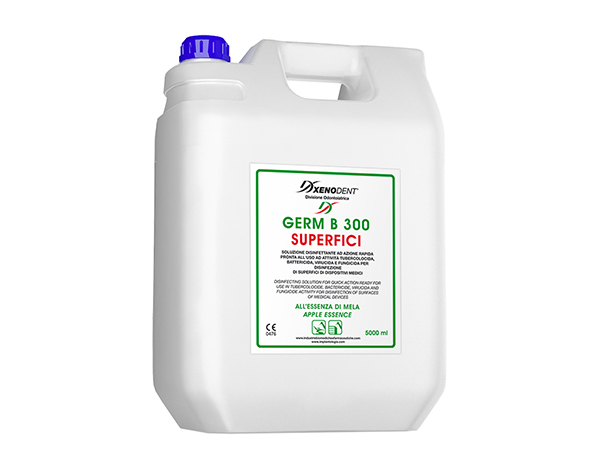 Specific disinfectant-detergent to remove residues of alginate, gypsum and cement deposited on the tray, quick and easy to use. Its correct use does not damage the steel surfaces and does not opacify them. Hygienic and detergent soap with a 6% Sodium Hypochlorite base for topical dermal treatment. 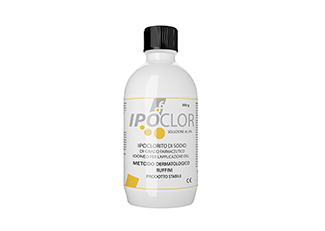 The cutaneous application and / or the dressing with the product acts in a deep way, restoring the skin its natural integrity. Solution for washing the root canals to be used alternately in association with oxygen 12 vol. or 24 vol., containing sodium hypochlorite titrated to 5% in active chlorine. 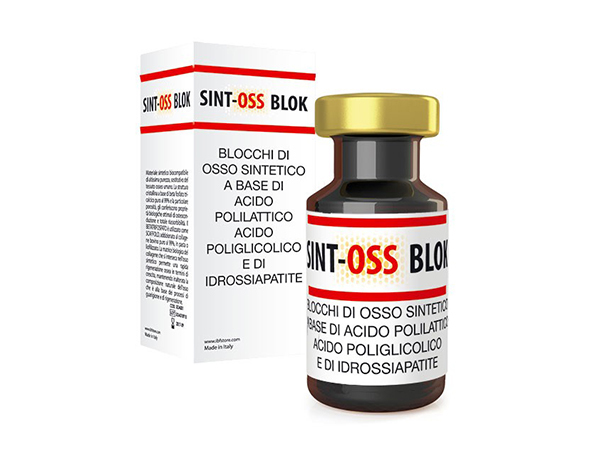 Excellent solvent of organic residues. Specific solvent to soften and facilitate the removal of root canal cements in cases of reprocessing. Based on tetrachlorethylene. 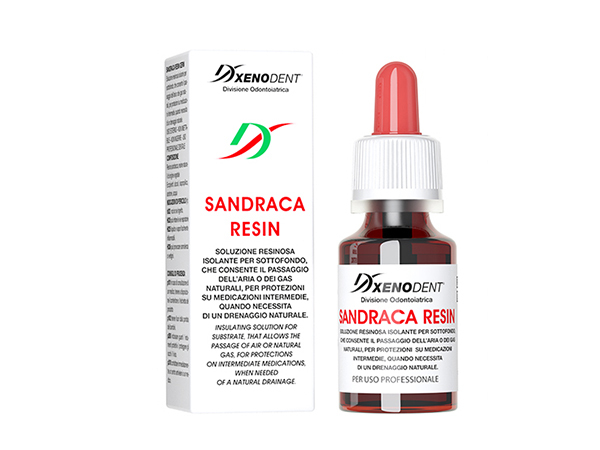 Specific solvent to soften phenolic resin-based cements and to remove gutta-percha and adhesives when performing endodontic treatments. Based on formamide. Solution for root canal treatment based on rectified metacresilacetate, indicated in the technique of prof. H. Shilder for treatment of the necrotic root canals and of periapical infections. It is used by impregnating a paper cone and then wringing it so as to bring only the cresatin vapors in the root canal. 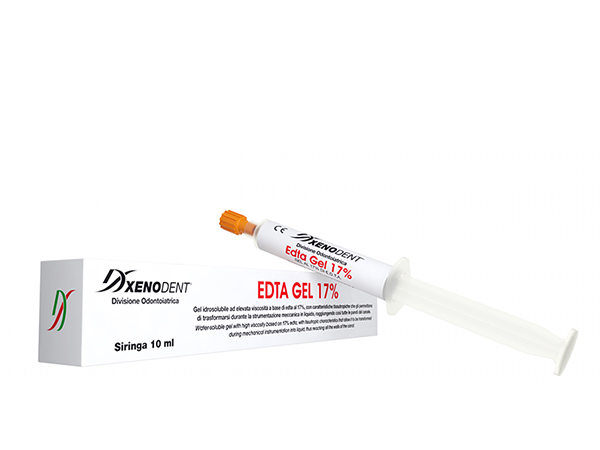 Water-soluble gel with a viscosity height based on 17% edta, with tissutropic characteristics that attacks become during the mechanical instrumentation in liquid, thus reaching all the walls of the canal. 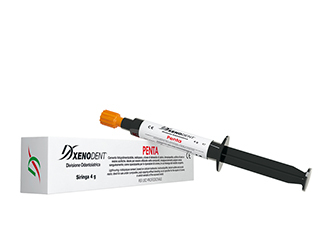 A pH neutral aqueous solution based on 17% edta, for the cleaning of the canal walls and the release of the tubules dentin from organic-mineral debris (dentinal mud): effective aid in the instrumentation of calcified canals. Aqueous solution of chlorhexidine digluconate and cetrimide for the cleansing and removal of organic and inorganic debris (smearlayer) and chemical treatment of non-instrumental areas. Solution based on 4% v / w hydrogen peroxide (12 volumes) for washing and cleaning of root canals during reaming, in association with sodium hypochlorite. Creosote based solution. 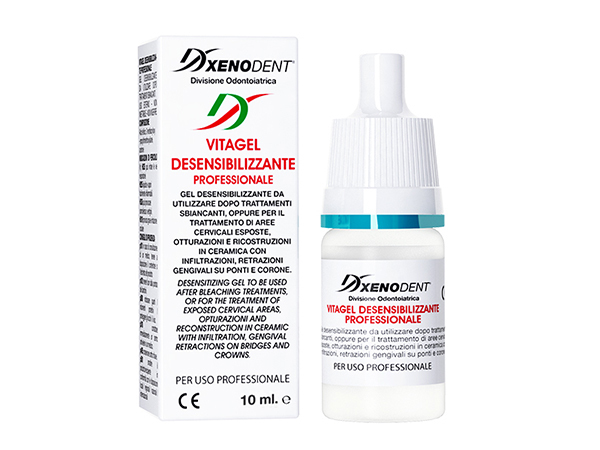 Low viscosity gel adjuvant in the treatment of acute pulpits and traumatic periodontitis, with calming and sanitizing action. 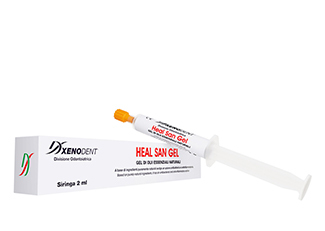 Non reabsorbable radiopaque cement, biocompatible ph neutral, with high mechanical characteristics, suitable for endodontic surgery. Based on zinc calcium tungstate oxide and natural resin. 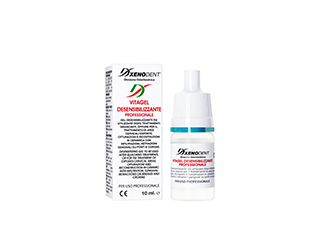 Cement definitive root canal without formaldehyde, and non-absorbable radiopaque containing hydrocortisone and zinc oxide with antiseptic and anti-inflammatory action, for definitive fillings of root canals to be used also in combination with guttapercha. 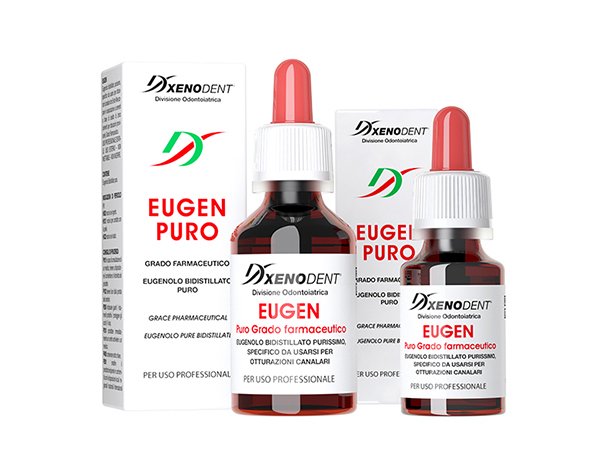 Eugenol bidistillato pure, specifically intended for the root canal fillings with Germ Endo-Mes or in combination with cement-based cements, zinc oxide for temporary fillings), Pharmaceutical Grade. 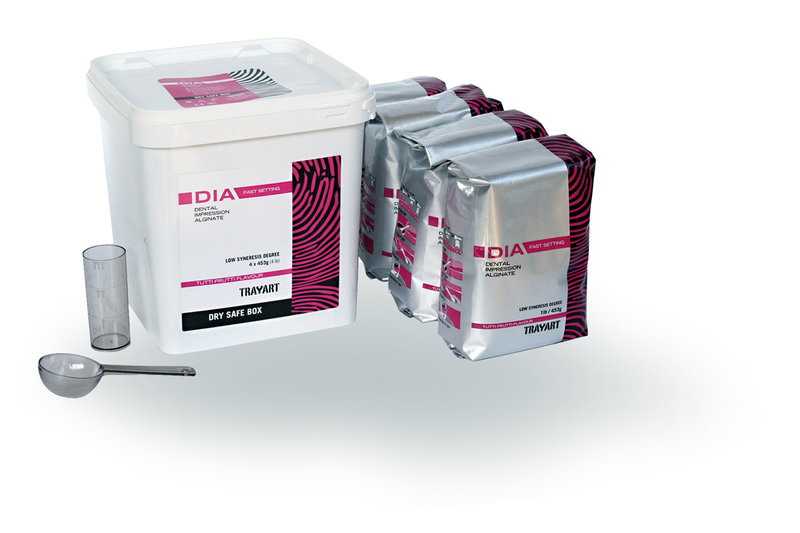 Cement containing calcium hydroxide and iodoform, radiopaque for cavity foundations. 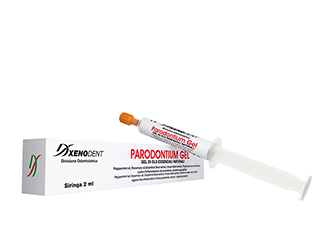 Indicated for temporary or permanent root canal obturation after a pulpectomy, for the treatment of infected channels, it can be used with or without guttapercha. Cement containing calcium hydroxide, radiopaque for cavity foundations. 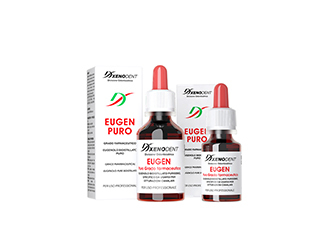 Indicated for temporary or permanent root canal obturation after a pulpectomy, for the treatment of infected and non-infected channels. 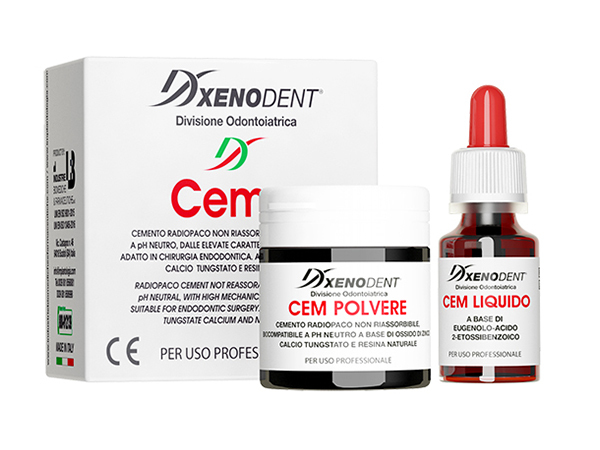 Cement based on iodoform and parachlorophenol, radiopaque for cavity foundations. indicated for temporary or permanent root canal obturation after a pulpectomy, for the treatment of infected and non-infected channels. 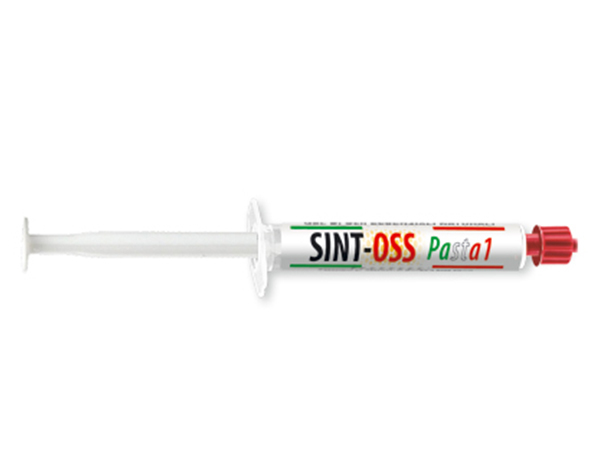 Radiopaque paste with high antiseptic, resorbable action. 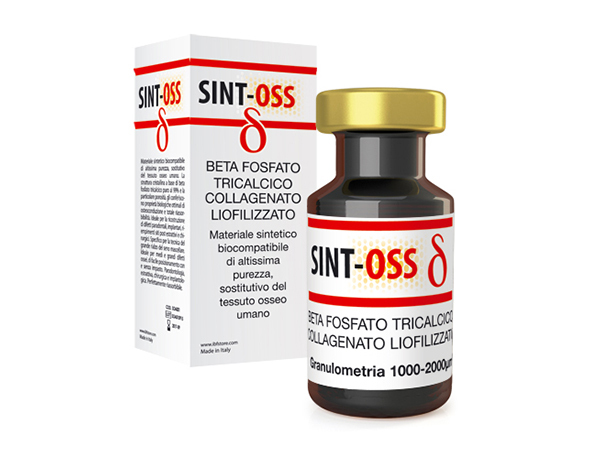 Indicated for channel ductation and treatment of fistulas and granulons. 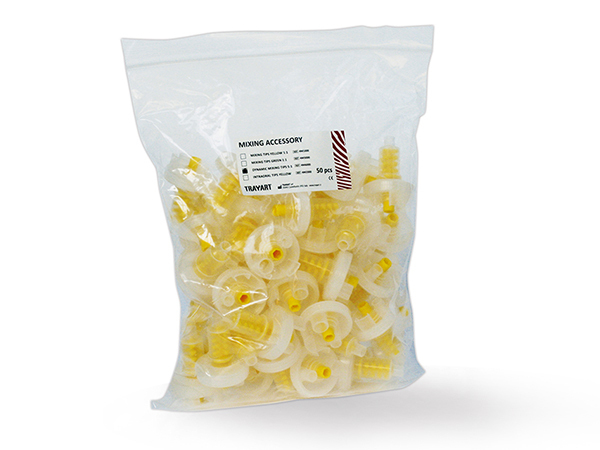 The product can be used alone or with guttapercha cones. 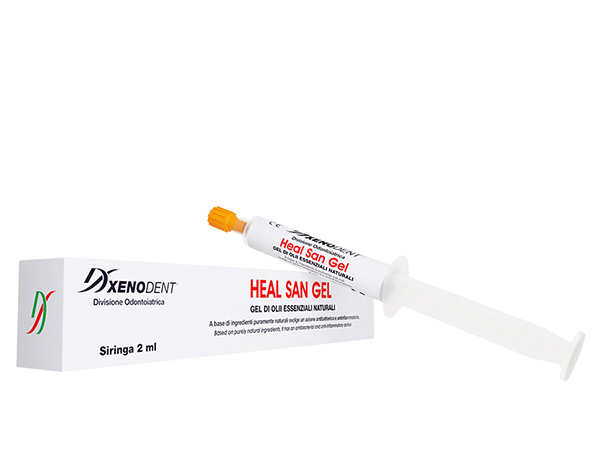 Desensitizing gel to be used after bleaching treatments, or for the treatment of exposed cervical areas, fillings and ceramic reconstructions with infiltrations, gingival retractions on bridges and crowns. Daily use is recommended instead of a normal toothpaste. 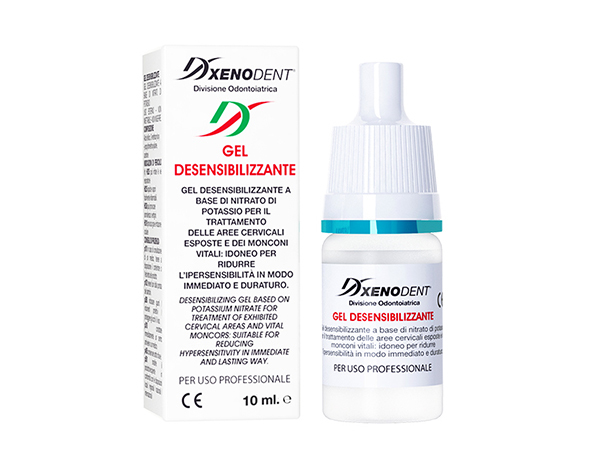 Desensitizing gel based on potassium nitrate for the treatment of exposed cervical areas and vital abutments: suitable for reducing hypersensitivity in an immediate and lasting way. 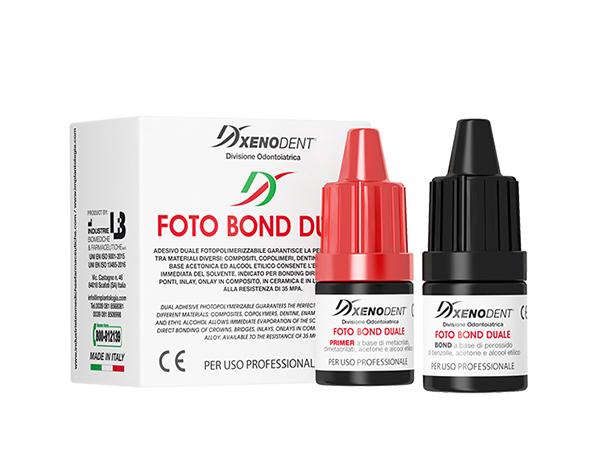 Photopolymerizable dam, sealant, composed of methacrylates with mechanical properties suitable for protection of the gums and easily removable from cracks and undercuts. 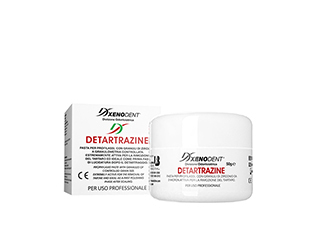 Thanks to the particular structure of the granulometry granules with controlled granulometry, detartrazine ensures an effective cleaning action with a minimal abrasive action on enamel and dentin. 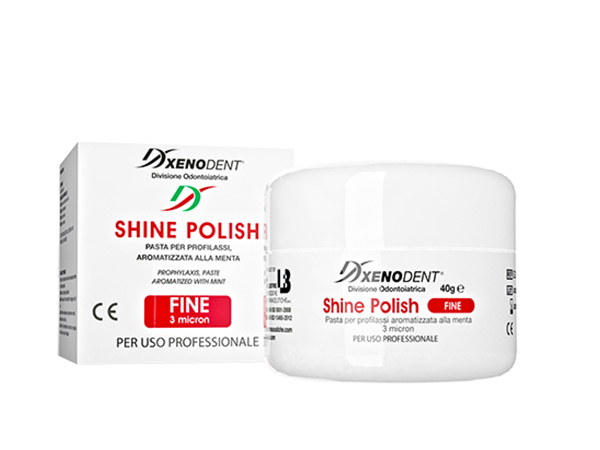 It is extremely active for the removal of tartar and ideal as a first polishing phase after scaling. FINE: indicated for the final polish on the enamel. 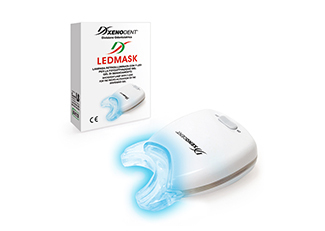 Backlit lamp with 7 LEDs for photoactivation of bleaching gel. It is particularly indicated for the treatment of darkened or discolored teeth, due to dyschromia due to congenital, pharmacological or iatrogenic problems (such as fluorosis). The product is reserved for the patient. 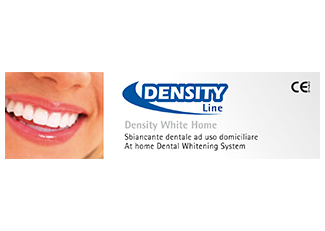 6 kits of bi-component whitening + 1 pack of desensitizing gel + 1 light-curing dam kit + 1 kit of disposable needles. 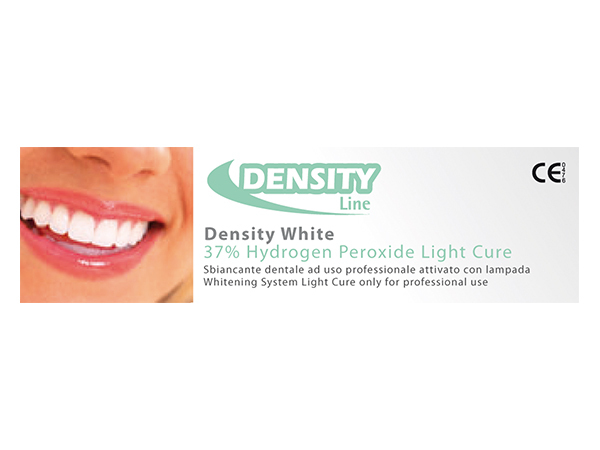 Two-component liquid-gel system with 37% hydrogen peroxide pH neutral for teeth whitening both vital both non-viable, with photochemical activation by lamp-laser. 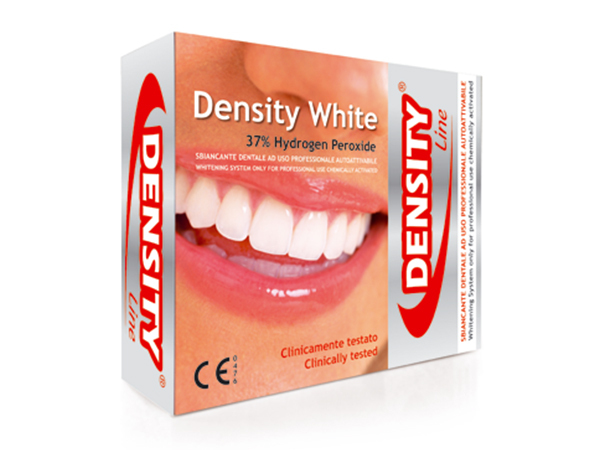 Bicomponent liquid-gel system with 37% hydrogen peroxide neutral pH for whitening both vital and non-vital teeth. The product is exclusively for professional use only. 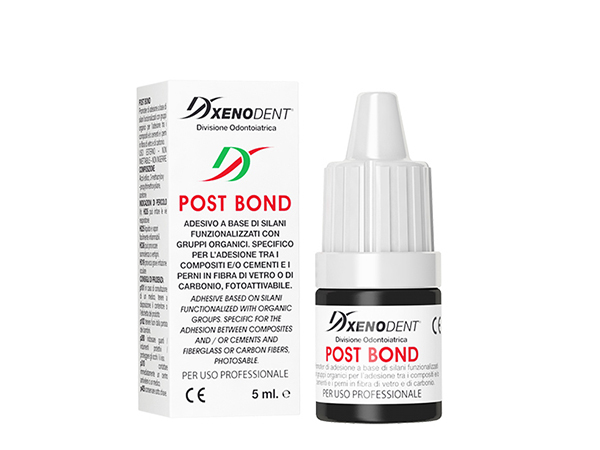 Dual photopolymerizable adhesive guarantees the perfect adhesion between different materials: composites, copolymers, dentin, enamel. 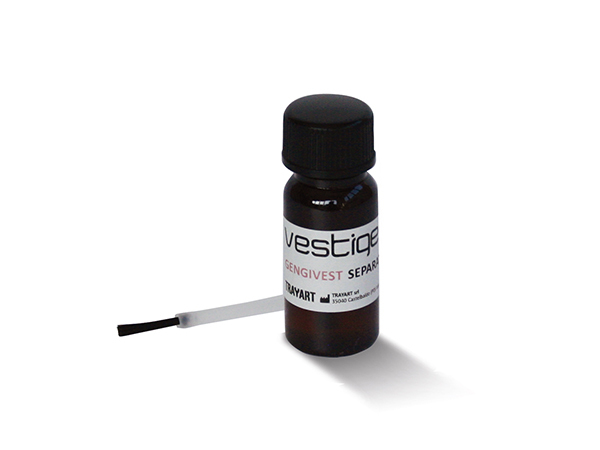 its acetone base and ethyl alcohol allows the immediate evaporation of the solvent. 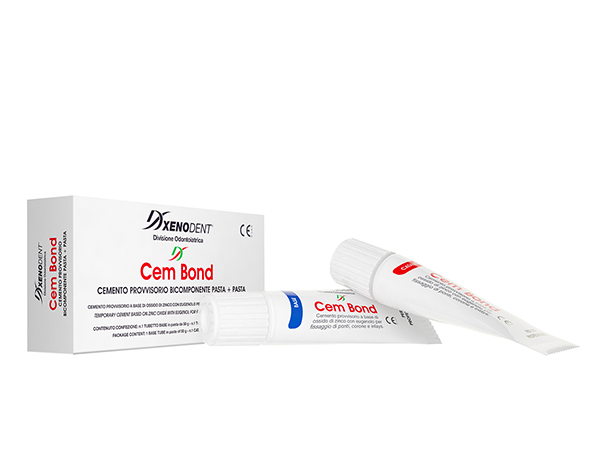 Suitable for direct bonding of crowns, bridges, inlays, composite, ceramic and alloy onlays. 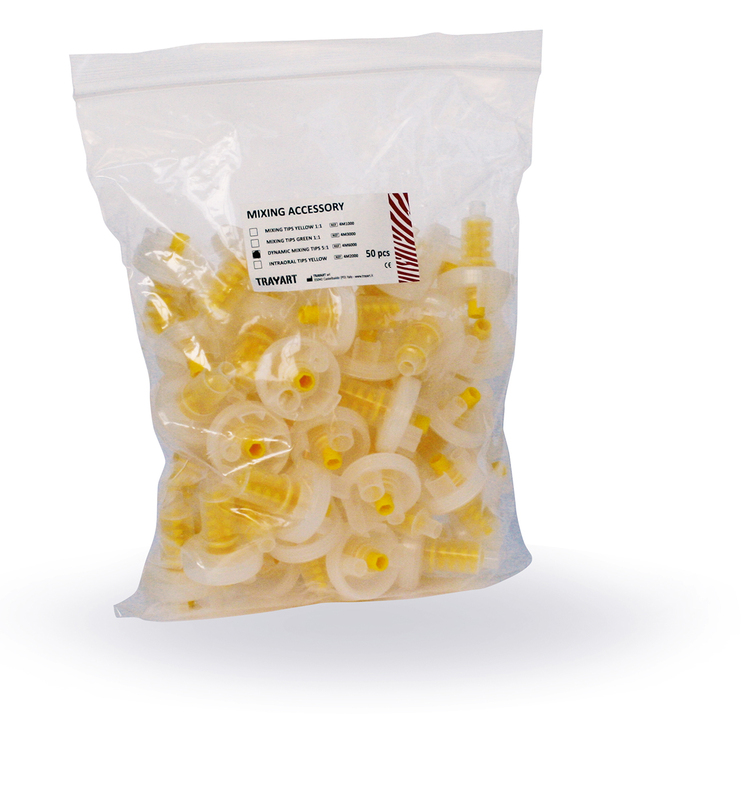 Available at 35 mpa resistance. 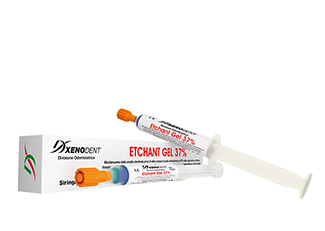 Fifth generation light-curing, single-component adhesive with acetone vector, allows rapid evaporation of the solvent. 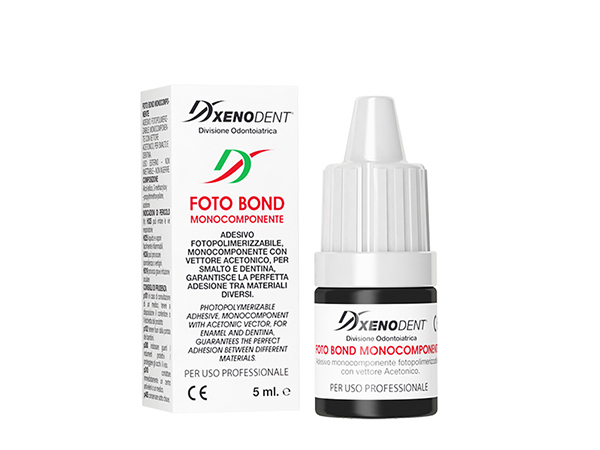 Adhesive for enamel and dentine, guarantees perfect adhesion between different materials: composites, copolymers, dentin, enamel. Adhesive based on silanes functionalized with organic groups. 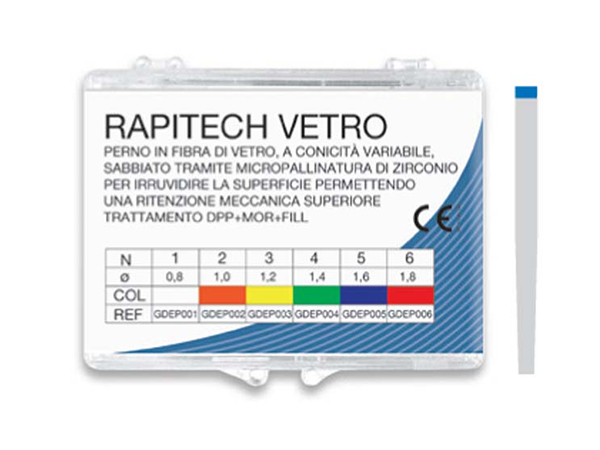 Specific for the adhesion between the composites and/or cements and the pins in fiberglass or carbon, photoactivable. 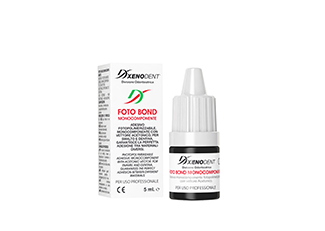 Light-curing adhesive sealant based on methacrylic resins, with the characteristics of a very thin film. 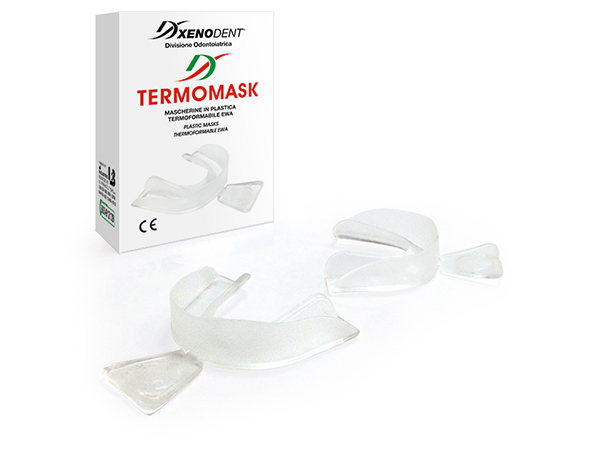 It can be used in amalgam and ceramic restorations as a protection against them and sealant in permanent and deciduous dental grooves. 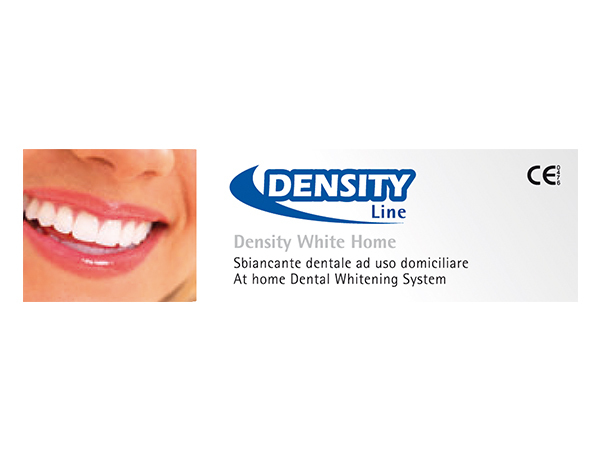 The product is indicated to increase by 20-30% the adhesion between the metal pins and the composite cement used for the fixing of the reconstruction, also for the silanization of metal reinforcements; ceramic or composite restorations; defects of ceramic or composite crowns with or without exposed metal; crowns entirely in ceramic or composite, composite reconstructions. Material (bonding) for fixing screws and prosthetic components on implants based on acrylic resins, developed to prevent micro-movements related in the implant system - screw - abutment. In these types of mating, tending forces may develop during mastication to generate vibrations. By applying a block to the fixing screw, a stable and safe locking occurs in 15 minutes. 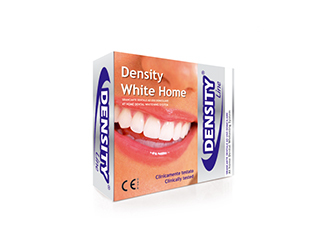 Temporary cement based on zinc oxide and calcium hydroxide without eugenol; white and radiopaque. 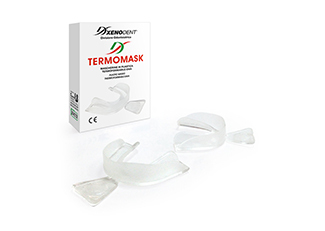 It has a remarkable stability and is self-hardening; ensures excellent cavity insulation and high resistance to masticatory stress. Easy to remove. 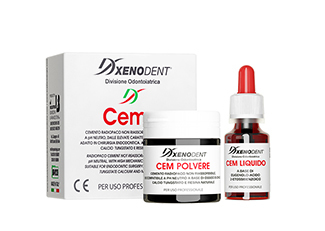 Temporary cement based on zinc oxide with eugenol for fixing bridges, crowns and inlays. 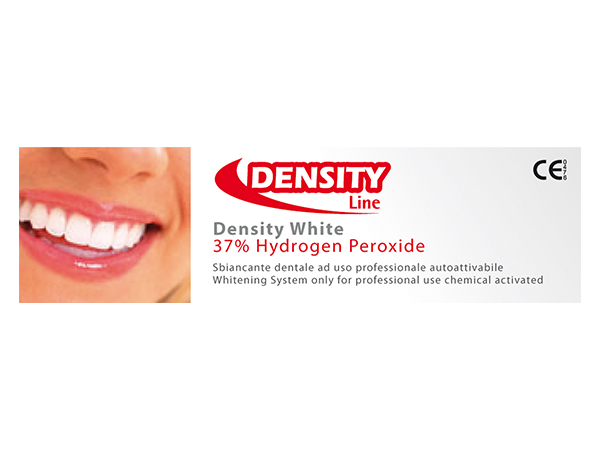 Etching of silica-free dentinal enamel based on 37% orthophosphoric acid, to guarantee an excellent tissutropy. 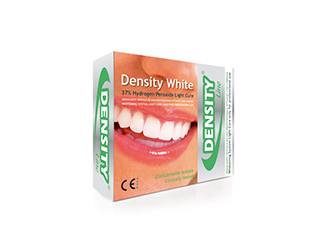 Easy and quick to remove, able to induce a greater adhesive force on dentin and enamel. 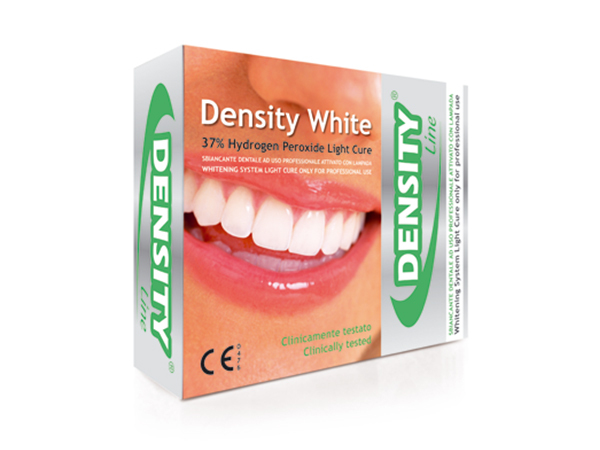 Light-curing, radiopaque cement, based on calcium hydroxide, hydroxylapatite, barium sulfate and acrylic resins. 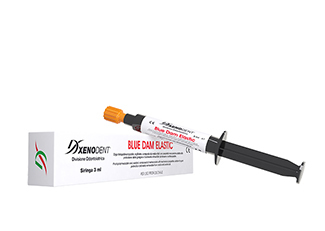 Ideal for use under composites, pulp capping without bleeding; as an opacifier for crown repairs, in which it remains of the discovered metal. 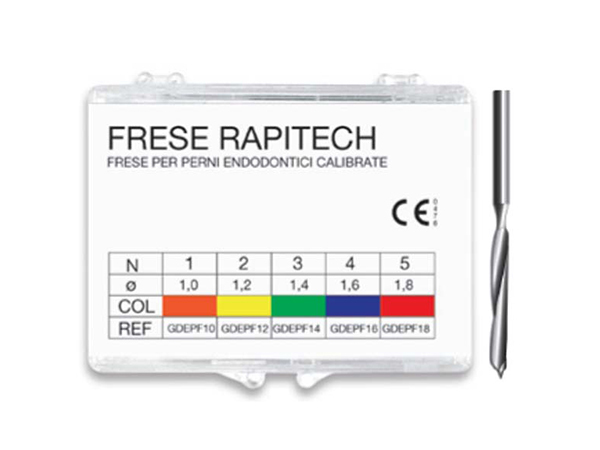 Routers for Rapitech root canal posts. 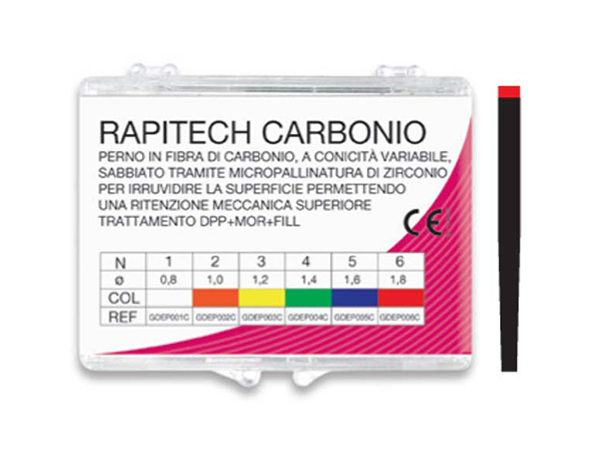 RAPITECH pins, in variable taper carbon fiber with increased adhesion surface (sandblasting), micropallinating microspheres with high-speed zirconium beads to roughen the pivot surface, plus the treatment dpp+mor+fill allows a mechanical retention greater than 100%, a high tensile strength, torsion and compression (breaking load), equal to 310/400 n/cm2 (force-newton). RAPITECH pins, made of glass and carbon fiber with variable taper with increased adhesion surface (sandblasting), micropallinating microspheres with high-speed zirconium beads to roughen the pivot surface, plus the treatment dpp+mor+fill allows a mechanical retention greater than 100%, a high tensile strength, torsion and compression (breaking load), equal to 310/400 n/cm2 (force-newton). 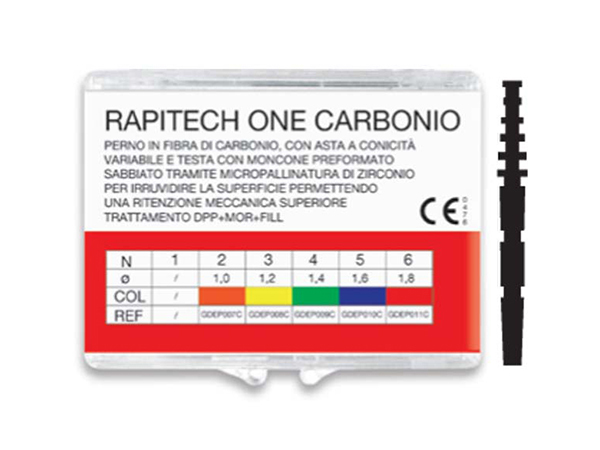 RAPITECH pins, made of glass and carbon fiber with variable taper with increased adhesion surface (sandblasting), treatment of micropallinating microspheres of zirconium launched at high speed to roughen the surface of the pin, plus the treatment dpp+mor+fill allows a mechanical retention greater than 100%, a high tensile strength, torsion and compression (breaking load), equal to 310/400 n/cm2 (force-newton). 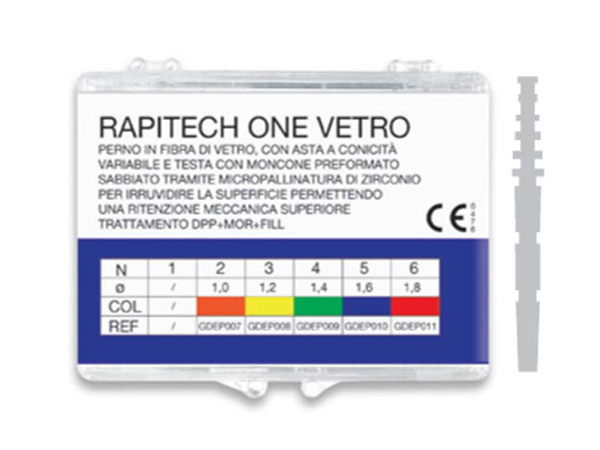 The RAPITECH pins, in glass and carbon fiber with variable taper with increasing the area of ​​adhesion (blasting), treatment of micropallinatura to high-speed launched zirconium microspheres to roughen the surface of the pin, the more the treatment dpp+mor+fill allows a greater mechanical retention of 100%, a high tensile strength, torsion and compression (breaking load), equal to 310/400 n/cm2 (force-newton). 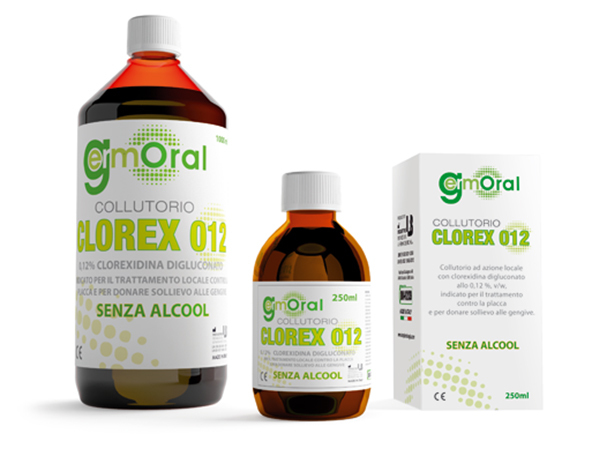 Mouthwash to local action with chlorhexidine digluconate at 0.12%, v/w, without alcohol, indicated for the local treatment against plaque and to give relief to the gums. 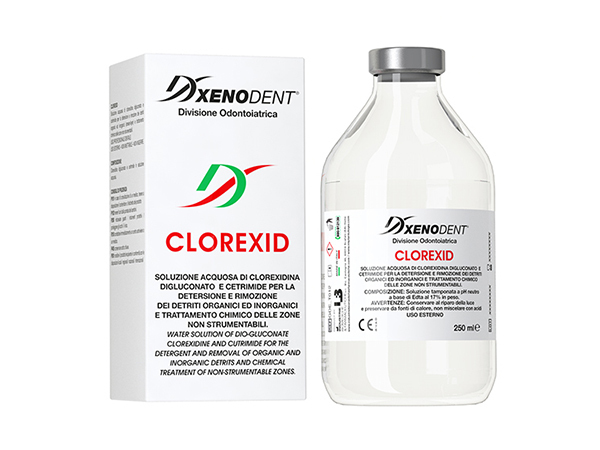 Mouthwash to local action with chlorhexidine digluconate at 0.20%, v/w, without alcohol, mainly indicated for the treatment after oral surgery. 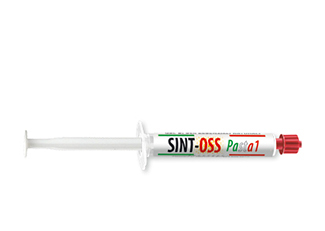 SINT OSS synthetic bone based paste Beta tricalcium phosphate enriched with Polylactic acid for alveolar fills, cystic apicectomy and small implant and periodontal reconstructions. 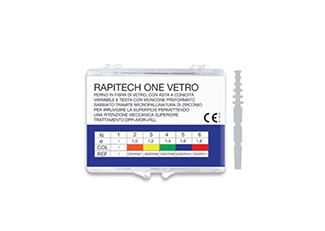 It is a sterile medical device, disposable, invasive surgical type of submucosal and intraosseous contact. The crystalline structure based on pure beta tricalcium phosphate to 99% and the particular porosity, confer optimal biological properties of osteoconduction and total riassorbibilità. 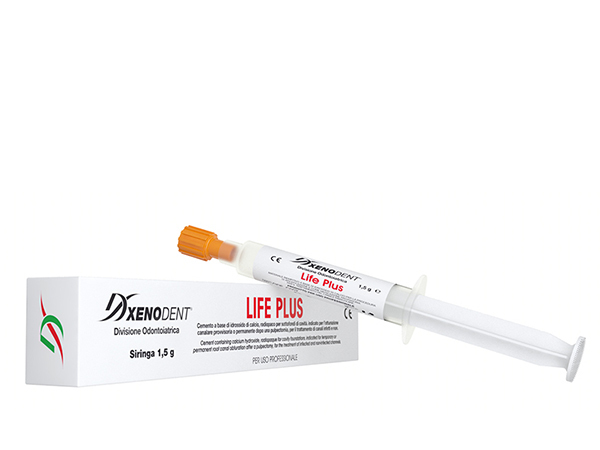 Ideal for the reconstruction of periodontal defects, implants, fillings post extraction and surgical sites. Specific to the technique of the great sinus lift. 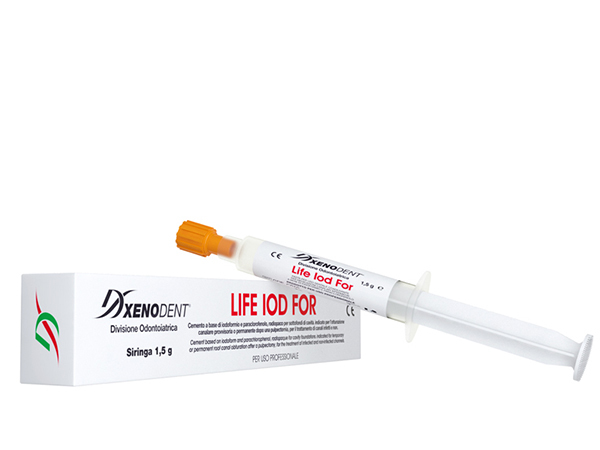 Ideal for medium to large bone defects, easy positioning with and without dough. Periodontology, mining, surgery and implantology. Perfectly absorbable. The crystalline structure based on pure beta tricalcium phosphate to 99% and the particular porosity, confer optimal biological properties of osteoconduction and total riassorbibilità. The BETA TRICALCIUM PHOSPHATE is used as SCAFFOLD, it added to the pure bovine collagen to 99%, in paste or lyophilized. 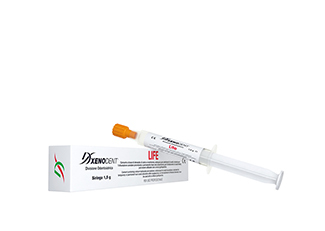 The organic matrix of collagen that intersects synthetic bone allows a fast bone regeneration in terms of growth, while maintaining the natural bone composition which is the basis of healing and regeneration processes. 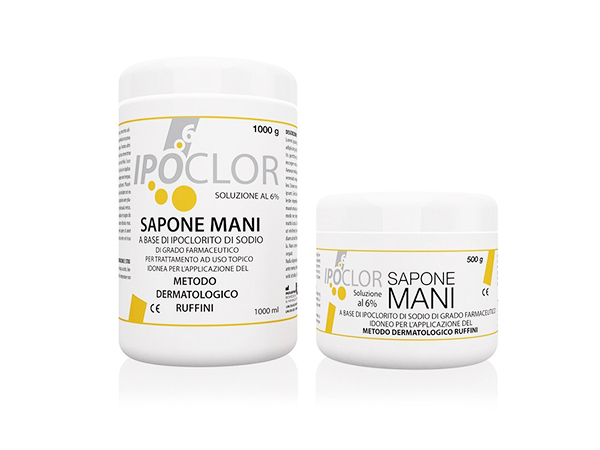 The importance of collagen is confirmed by the world and the daily practice literature. In fact, all manufacturers are forced to add collagen to their products. 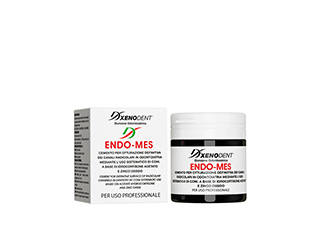 INDICATIONS: Sinus lifting, filling of post-extraction sites, remodeling and filling of bony gaps, periodontal pockets, splint crest in periodontology and implantology. Gel based on chlorhexidine and antibacterial and anti-inflammatory triclosan. 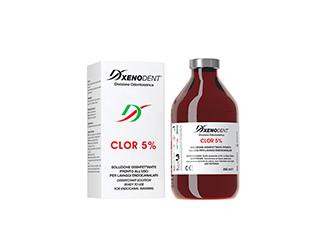 Concentrated aqueous solution containing benzalkonium chloride (quaternary ammonium salt), suitable for cleansing and disinfection of large surfaces, floors, non-critical articles in general (pans, etc..). Among all quaternary ammonium salts, benzalkonium chloride is the most active with regard to the germicidal activity. 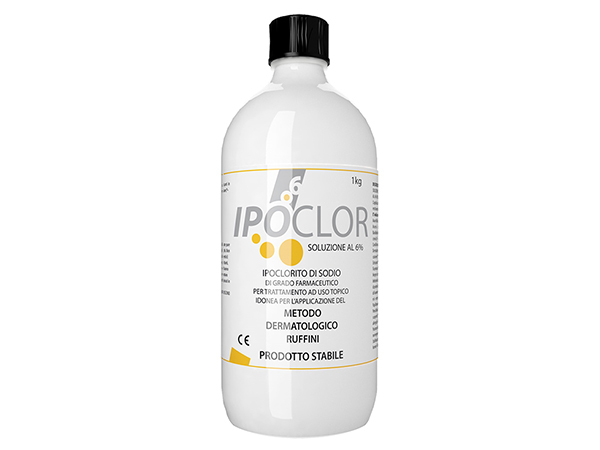 Ipoclor Hands Gel made from sodium hypochlorite 6% is a gel indicated for cleaning and deep hand hygiene: gives freshness, respecting the physiological pH of the skin, leaving a pleasant scent on the skin. Soap hands sanitizing and detergent based on sodium hypochlorite 6% for dermal treatment for topical use. 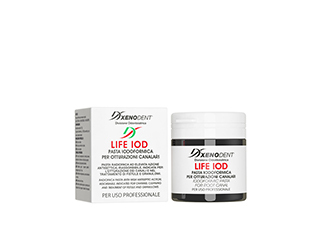 The dermal application and/or the dressing with the product acts in a profound way restoring the skin's natural integrity. 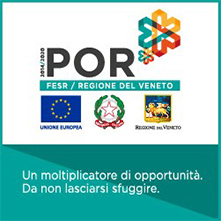 Project "Adoption of a Quality System in compliance with UNI EN ISO 13485: 2016"
Trayart Srl has implemented the project "Adoption of a Quality System in compliance with UNI EN ISO 13485: 2016" funded by Decree of the ERDF Management Area Manager n.7 of 9 February 2018 as part of the "Call for support for the purchase of services for innovation by SMEs" POR ERDF 2014-2020, Axis 1. Action 1.1.2. pursuant to Resolution no.1848 of 14 November 2017. 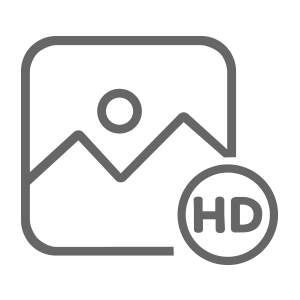 The project has allowed the realization of a path that will allow to obtain the quality certification of medical devices UNI ISO 13485: 2016. Thanks to this intervention, the company will be helped in the realization of its innovation activities on the ability to quickly demonstrate its ability to provide medical devices and related services that conform to customer requirements and applicable regulatory requirements. This favors the design and experimentation processes of innovative solutions - relative to the use of new prosthetic materials and models - and the integration and innovation processes of the organizational and business strategies for placing the product on the market. The public contribution enjoyed by the operation is € 4,500.00.